Our diversity separates us from the rest of the digital agencies and allows us to face different kinds of challenges. Define it offers personal training classes which include strength and conditioning training programs. Our web development team have played an integral part in the designing of their website. Their well-designed website contains every detail of services which helps clients to analyze that which program is beneficial for them. 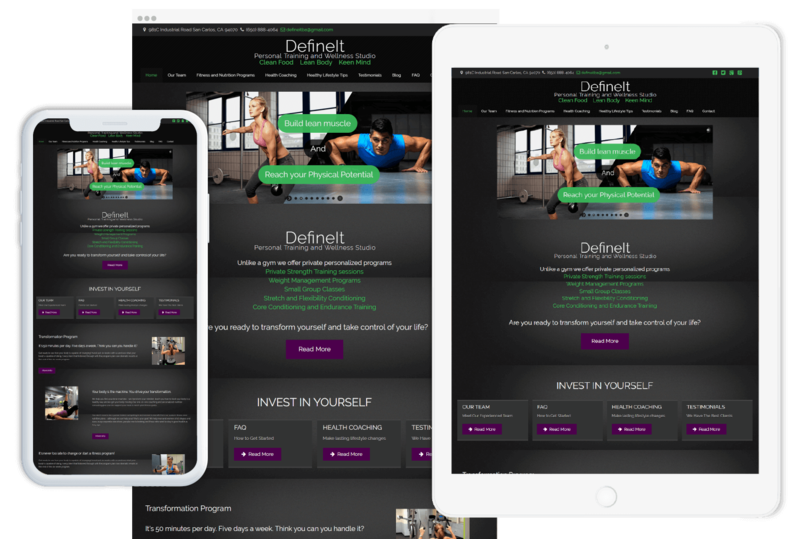 Our competent social media marketing team made huge efforts for the marketing of this fitness training firm. Social media marketing services of Techzo have played a major role to uplift the progress of Define it in the perspective of sales.